In this piece you can see the rich colors he used, contrasting the warm oranges against a cool green-blue back ground. Cezanne also used "modules" of colors. For this time period, this was very innovative. No artist had done this before. This would later inspire Picasso to invent Cubism. Another thing to look for in this painting is abnormal perspectives. 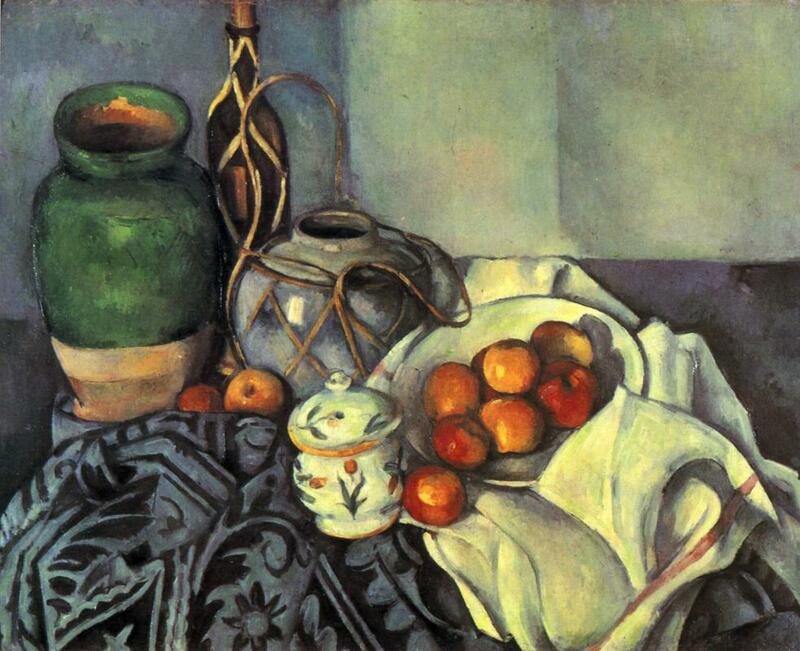 Cezanne loved to play with perspective. Much like Wayne Thiebaud's landscape paintings he uses multiple perspectives in the same painting to create tention and interest.